Multi family corner home. 4 same sized studio apartments. All units have two entrances, two closets and a seperate kitchen. 3 are rented $1050, $1050 and $900 the 4th unit is owner occupied. Tenants pay their own electric and cooking gas. 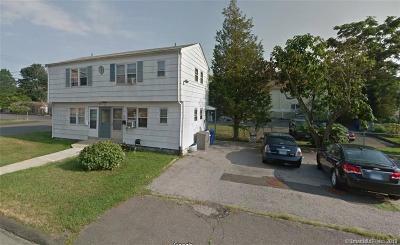 Adjacent parking for 10 cars., Completely renovated multi family home. 4 same sized studio apartments 3 are rented $1050, $1050 and $900 the 4th unit is owner occupied. Parking for 10 cars.